BCDB Rating: "La Flûte À Six Schtroumpfs" has not yet received enough votes to be rated. This page has been viewed 32 times this month, and 3539 times total. Cartoon Characters: Sénéchal, Le Buveur, Le Marchand, Le Visiteur, Johan, Homnibus, Mortaille, Le Grand Schtroumpf, Dame Barde, Le Pêcheur, Schtroumpf-Fête, Torchesac, Pirlouit, Le Roi, Le Garde, Le Sourd, Olivier, L'argentier, Schtroumpfs. Directed By Eddie Lateste, Peyo, John Rust. Produced By José Dutillieu, Roger Guertin. Written By John Rust, Yvan Delporte, Peyo. Editor: Nebiha Ben Milad, Michèle Neny. Peewee, a court musician, finds an enchanted flute created by the Smurfs. 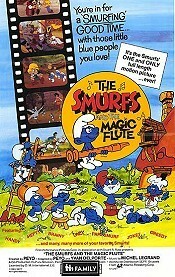 When the flute is stolen, the Smurfs create a new flute to defeat the thief. "The Smurfs And The Magic Flute." "De Fluit Met Zes Smurfen (Dutch), Smurffit Ja Noiduttu Huilu (Finnish), Die Schlümpfe und Die Zauberflöte (German), La Flauta de los Pitufos (Spanish), Smurfarna Och Den Förtrollade Flöjten (Swedish)." The Smurfs' first color feature film. 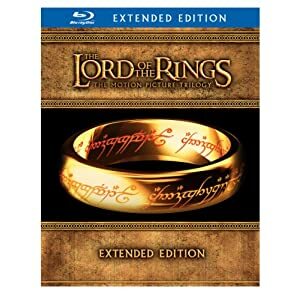 Release date reflects European release; United States release on November 23, 1983. Do you have anything to add to this page? Have we made any mistakes... or do you have any additional information about La Flûte À Six Schtroumpfs? If so, we would love to hear from you. Please send us a quick note with your additions or corrections to this page, and we will make the corrections as soon as possible! Do you love La Flûte À Six Schtroumpfs, or do you think it is the worst cartoon ever? Let us know what you think! Surely you have an opinion... so share what you think. Take a minute and post your own comments about this cartoon here. La Flûte À Six Schtroumpfs by Big Cartoon DataBase is licensed under a Creative Commons Attribution-NonCommercial-ShareAlike 4.0 International License.